Our BittsAnalytics platform uses artificial intelligence to provide its users with automated recognition of technical chart patterns for the cryptocurrency market. 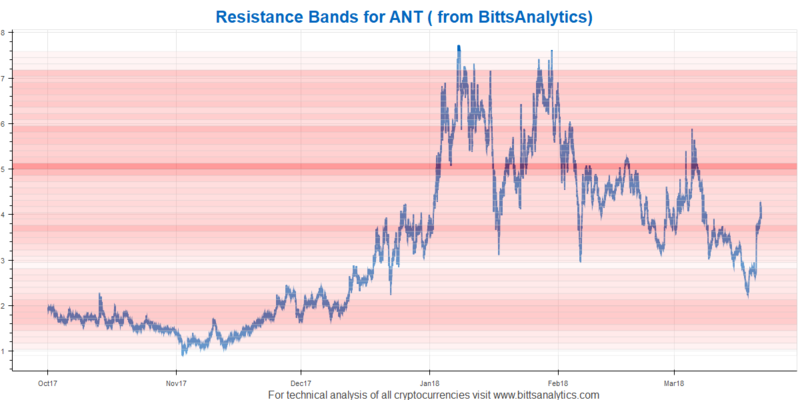 We also use deep learning to generate our BittsBands that show price bands with increased probability of resistance. In this post we would like to demonstrate how use of both features can lead to high returns. As you can see in the following picture Aragon had a bottom pattern already formed through dips in December and January. And what happened recently is that it had indeed bounced on that bottom support line of 2.27 USD to deliver a return of 90%. Note that our BittsBands also indicated a strong resistance below 2.2 USD indicating a higher probability of the price bouncing on this level. And that has indeed happened confirming the value of our BittsBands framework yet again. 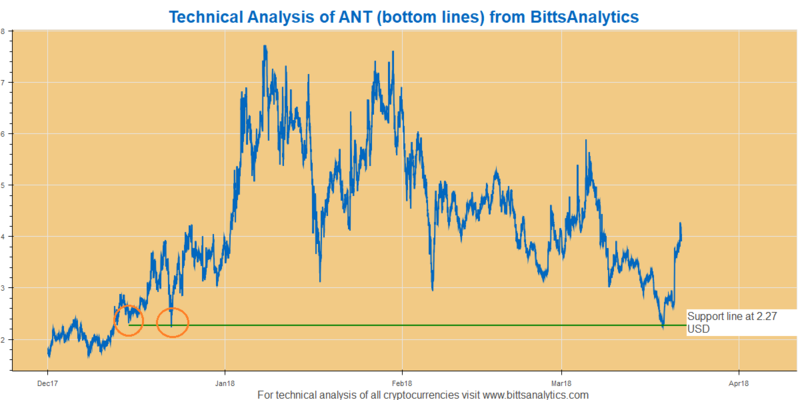 If you want to use automated detection of chart patterns with artificial intelligence and our advanced BittsBands (as well as many other advanced tools) to improve your cryptocurrency trading it is easy – subscribe and become one of the many users of our platform BittsAnalytics at www.bittsanalytics.com.